And while you were all enjoying the fruits of your lemon preservation, I was wandering the hillsides of Sorrento, Italy, marveling at their two-tiered combo lemon and grape gardens and eating and drinking the harvest from these gardens as frequently as my appetite would allow. And in one of these hillside gardens, lived a delightful Italian “mama” and cooking teacher named Lucia. 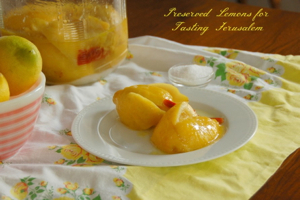 As we enjoyed a glass of her homemade limoncello, I had the pleasure of telling her about preserved lemons. Her eyes held mine in fascination as I explained the concept of taking a fragrant Sorrento lemon and preserving its perfection in a jar. She is awaiting my email with instructions so she can try it for herself! Despite my exploits, I did manage to cook a fabulous flank steak with preserved lemon gremolata, a recipe I found on Winnie Abramson’s blog A Healthy Green Kitchen. 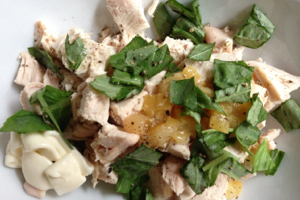 (look for her new book coming out soon… One Simple Change) and I made Hannah Cordes’ simple but luscious recipe for a chicken salad with preserved lemons on a busy night after I returned from my trip. 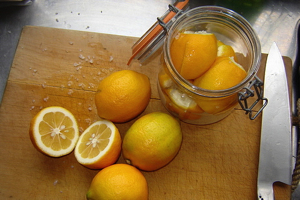 And did you see this video from Rachel of the blog La Fuji Mama showing the final steps of making preserved lemons? Sarene and I thought we’d make July a salad exploration month as we all enjoy the lazy days of summer, take vacations, survive heat waves, and shuttle kids around in odd summer schedules. Seemed like the perfect time to see what Jerusalem offers for our salad plate and palate. 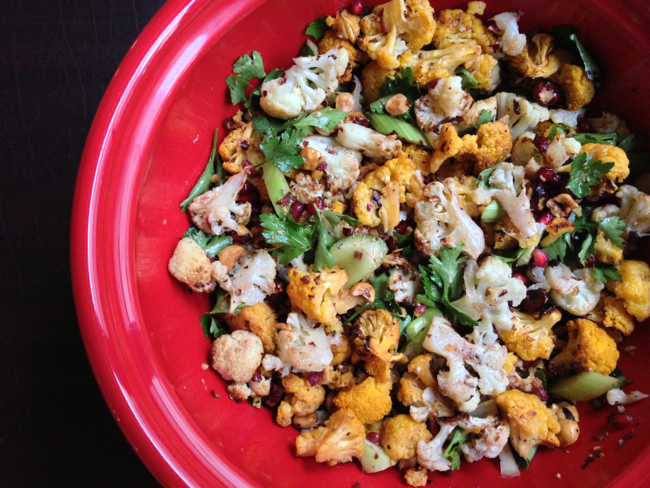 Have you tried the roasted cauliflower with hazelnut salad yet, pg. 62? 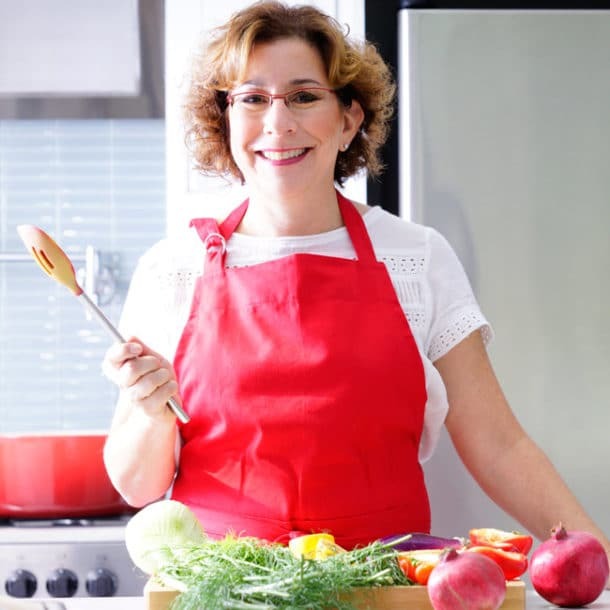 As some of our Tasting Jerusalem community already knows, it’s a delightful and unusual combination of flavors and textures and would be great prepared ahead and then set out on a backyard buffet, for example. 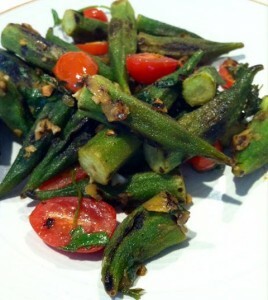 Or what about the zucchini and tomato salad, pg 84? If you are in the northern hemisphere, zucchini and tomatoes are plentiful and cheap and this one works well with the backyard grill. And you just have to make one of our favorites, the Baby Spinach Salad with Dates and Almond, pg 30. Sarene suggests topping it with grilled chicken or salmon and turning it into a main course. But we want to hear what strikes your fancy either directly from the cookbook or a variation that uses the flavors and ingredients we’ve been enjoying and learning about these past 6 months. If you’re new to the group, welcome! 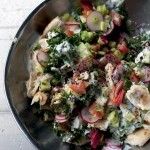 The popular na’ama’s fattoush salad recipe is available for reprint so I have included it below. This is a perfect chance to join in the cooking even if you don’t have the book! 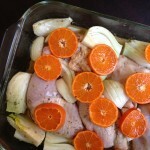 And if you choose to reprint the recipe in your blog, please use the proper credit lines listed below with the recipe. 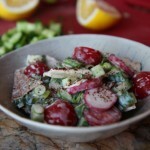 This is Sami Tamimi's mom's take on a typical Israeli chopped salad, made more comforting by the creamy buttermilk dressing and the untoasted pita. 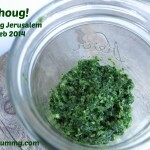 Tasting Jerusalem February 2014 – Zhoug! 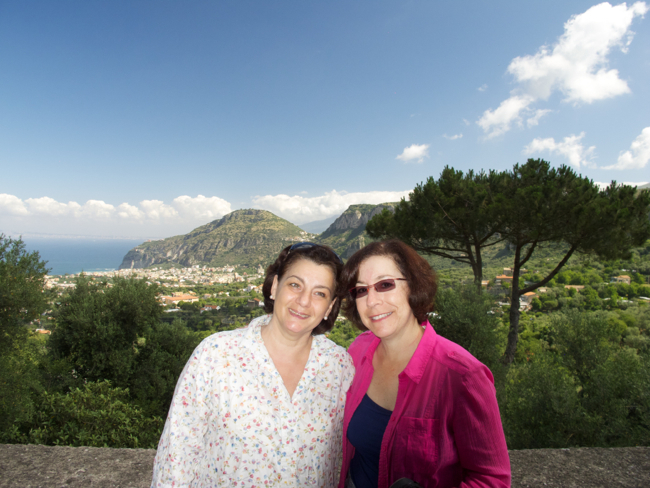 I loved reading about your visit to Italy! Homemade limoncello in Italy? Oh my, you have made me swoon! That salad also looks so refreshing and delicious! I may have to give it a try! Hi Mandi, Thanks for stopping by. The homemade limoncello was so good I am afraid to open up the bottle I brought home for fear it just won’t measure up! And I do hope you’ll consider trying some of the recipes from our Tasting Jerusalem group — buy the cookbook and join the fun! We are learning so much about some fascinating new ingredients and we all help each other along. Come back and visit again soon ok? What a mouthwatering and delicious post. I am so excited about your European culinary travels. There really is nothing like it, than tasting local cuisines. 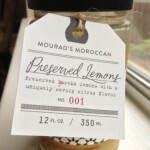 And I’m curious about preserving lemons, too! I have never thought about it, but what a great idea. You have given me some ideas for my shopping list today. Thank you and happy weekend to you! Hi Charlotte! Great to hear from you! How have you been? Let me know what you pick up at the grocery store! 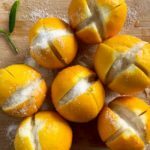 And if you need me to point you to any preserved lemon recipes – basically, you just need lemons and salt to start and then some olive oil and any other added flavors you want. I will be writing more about my culinary travels as soon as I have time and can figure out where to start! So much to share! Love to make salads this time of year, but mine nowhere as fancy as yours are and look. Mine are simple with tuna fish, salmon, or sardines. One of these days I am going to try a more fancy one with veggies etc. 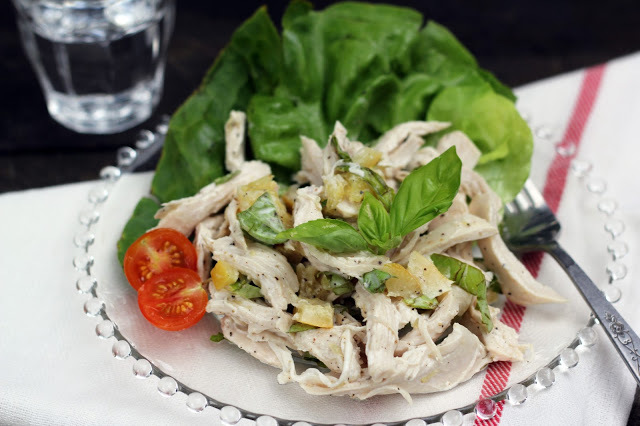 You and Dad love salads so much – just switch up one ingredient or add in one new thing so it’s not overwhelming but you get to experience a new flavor. 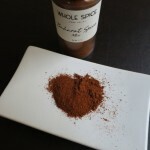 Trader Joe’s, where I know you shop alot, has lots of interesting ingredients to try! What a fabulous round-up of lemony goodness, Beth! What a delicious journey you were on in Spain and Italy! And I agree, I hope Sarene starts a blog so we can enjoy more of her cooking journey. I love these variations on the Braised Eggs with Lamb – can’t wait to make it again. 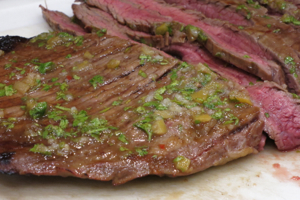 The flank steak you made has me drooling and I’m adding it to my summer list to make. I just picked a salad recipe to make from Jerusalem, too – not an easy thing to do with so many delicious ones in the book. Thank you for sharing my chicken salad, as well. Happy summer eating! Thanks as always for providing inspired cooking ideas and beautiful photos, not to mention great conversation. Hope you are enjoying your summer and can’t wait to see what salad you play with!